The Democrat Party’s attack dogs are snarling. Nancy Pelosi and her allies sense that now is the time they can make a move against Donald Trump. And Maxine Waters just made one announcement that will make Trump’s life a living hell. 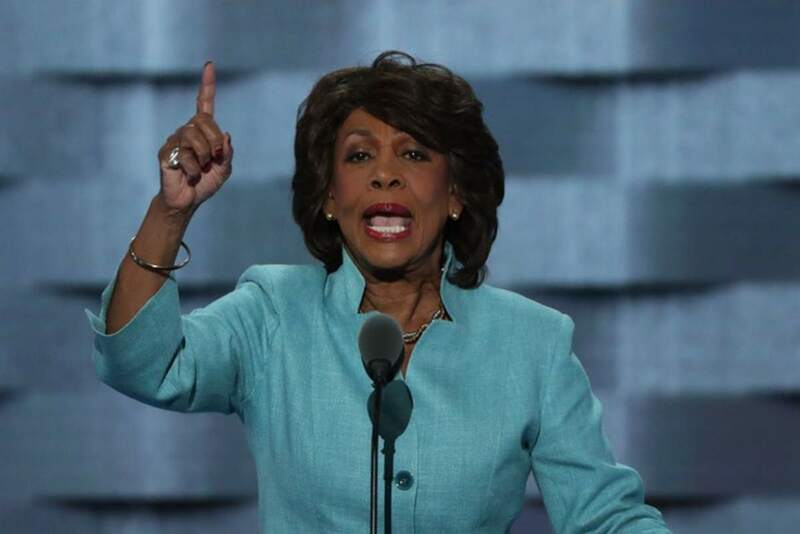 Left-wing loon Maxine Waters is now the chair of the Financial Services Committee. Waters holds oversight over banks, Wall Street, and the United States financial system. The California Democrat is a radical leftist whose command-and-control economic policies threaten to turn America into Venezuela. And any thoughts that proximity to power would moderate Waters beliefs just went out the window. Waters left jaws on the ground when she named freshmen Democrat socialist Alexandria Ocasio-Cortez to the committee. Ocasio-Cortez – who declared in a 60 Minutes interview that she wanted a 70 percent marginal tax rate on incomes over 10 million dollars – celebrated the announcement as her opportunity to impose socialism on America. Ocasio-Cortez teaming up with Maxine Waters on the Financial Services Committee is a nightmare for America. And they’ve promised to turn Trump’s life upside down. Democrats firmly believe in a baseless conspiracy theory that Russia laundered money to Donald Trump through Deutsche Bank. The anti-Trump resistance is convinced Deutsche Bank holds the key to untangling an international conspiracy to steal the 2016 Presidential election. With Ocasio-Cortez on the committee, Trump supporters can expect the Financial Services Committee to take a hard left turn on both policy and investigations. Both areas threaten the economic boom Donald Trump’s policies created. If investors sense instability in Washington in terms of a leadership crisis – or if Trump is replaced and Democrats win power to impose their socialist agenda – the market will tank and the economy will collapse. Americans saw a preview of this in December. The fake news media blamed Donald Trump’s trade policies and comments about the secretive Federal Reserve for why the stock market posted its biggest December losses since the 1930s. But Donald Trump knew better. Since the early fall, the President had warned that if Democrats won back power, they would tear asunder the foundation of the economic boom that kicked off over two years ago. And once again, the fake news was proven to be the liars and Trump the truth teller. However, that is only a hint of what’s to come if socialists like Ocasio-Cortez and Waters obtain unlimited power to impose their vision of banana republic socialism on the United States.